I think a concern we have as we bring a new baby into our family is how will it impact our child(ren) who are already here? What will the new dynamic be? 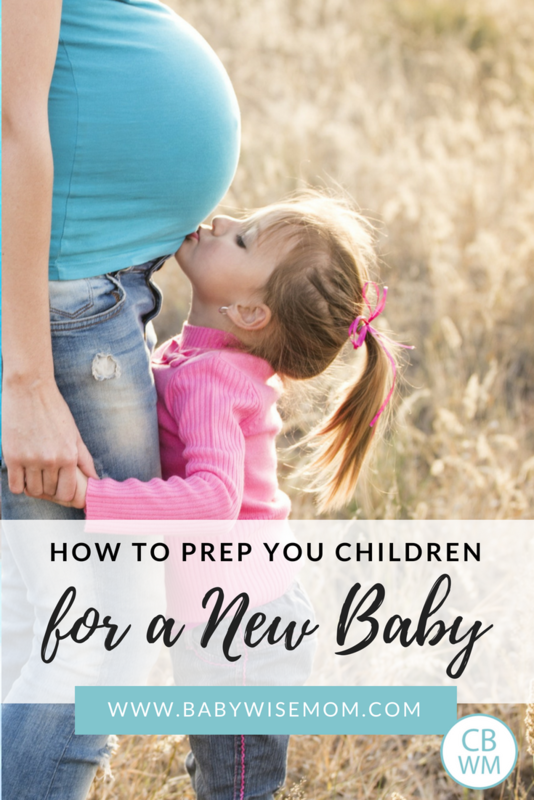 How can we best prep the child(ren) for the new arrival? Here are some ideas from me. Keep your children involved in knowing what is going on with the baby. Take them to appointments to hear the heartbeat and see the baby on ultrasounds. Help them feel baby move. If you are adopting, keep the children as aware of what is going on with the process as you feel comfortable with. Talk with your children about the baby. My kids always want to know how long she is and how much she weighs.How long until baby comes home? What is baby like in your womb? How does that compare to what your children were like in the womb? My children love to hear about how our baby moves around and how they moved around in the womb. We also look at pictures of me pregnant with them as well as sonogram pictures of them, and then look at pictures of the baby’s sonogram. guess and even put in ideas for possible names. 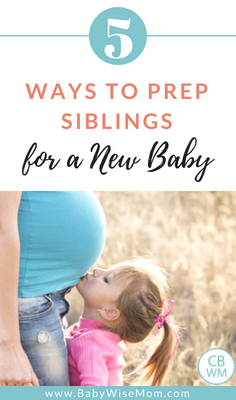 You will have preparations even if it is not your first baby. Help your children help with those preparations. When I was pregnant with McKenna, Brayden helped paint her room. You can have them help clean the nursery, sort baby clothes, wash baby clothes, go shopping, etc. I do this to hopefully stimulate a feeling of love for the baby. People love giving gifts. We went to the store and each child chose a gift for her. They will then give it to her when they first meet her. I think this helps ease any potential nerves that come with meeting the baby for the first time. One of my strongest memories from when my sister was born was the gift I got. I remember exactly what it was. That gift reminds me of my sister. Gift giving and gift receiving is a love language. In the end, don’t stress it out. Children are resilient and will love having a new sibling even if they feel displaced for a bit. I find these things can help make the transition easier and they help give the children some sense of participation in the entire process. What have you done to prepare your children for siblings? I agree that preparation is KEY!!! We talked about my son becoming a big brother constantly and read LOTS of books with him on the topic. I loved that the books prepared him for a baby and what they would be needing so he didn't expect a new friend to play with all the time 🙂 I tried to build him up as much as I could before the baby arrived…talked a lot about how big of a helper he'd be and was sure to take him to the hospital for a tour so he'd be comfortable there. Great post! This was a huge concern for me when we were pregnant with our second baby. My daughter was only going to be 14 months old when he was born so the typical book prep was not going to be enough for her to understand what was about to rock her world. I got a GREAT suggestion from a friend with four kids who I very much admire and it worked wonders in helping our 12 month old understand what was about to happen (we started 2 month ahead of the due date). I went to target and bought a baby that cried, came with a bottle, ate and even burped (about $25 a year ago). I brought the baby home and we acted as though “Lola” (the baby doll) was a new member of our family. I set up the bassinet in my room and had her take naps (we practiced being quiet). We fed her and burped her periodically during the day and I let my daughter help. We changed her diaper (I just kept using the same one but we would take it off and I would pretend it was new). My daughter was SO into it and loved helping! She was not allowed to play with or hold Lola – only mom and dad. We treated her like a real baby. My husband and I would even hold the baby doll at night while we played with my daughter on the floor to help her understand that she did not get all of the attention and we would be caring for another baby at times. I set up the swing in the living room and Lola would hang out there or in the bassinet in our room if we weren’t doing something with her.We also read a “Big Sister” book to my daughter daily but the doll worked the best in helping her understand. She was so excited to welcome home her little brother and we experience no jealousy at all. We also made sure she was at the hospital the day we came home and we all went home together as a family in the same car. Sorry for the long post! Very interesting, never heard of such idea! I tried to prep my son, he's four and a half years older. Didn't play the trick. He was into it while I was pregnant, we talked, guessed, read, chose names, made jokes and so on. I thought he's ok, and after couple of days will warm up to his little brother. But almost 5 month after, he still refuses even to touch the baby, says I pay to much attention to little one.